Our Unsecured Home Improvement Loan offers an easy application process so you can get started on your home renovation projects right away. If you have good credit and steady employment, you may be eligible for up to $25,000 at a fixed rate and with no equity or collateral required. Looking to remodel your kitchen or replace an old roof? Our Unsecured Home Improvement Loan is a great option to fund your project! 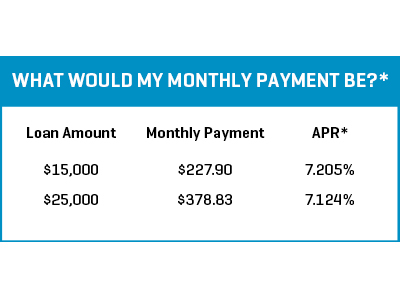 *Annual Percentage Rate (APR) is for illustrative purposes only, may vary, and is not guaranteed. Example is based on 84 month fixed loan term and APR includes $100 Loan Processing Fee and rate discount of 0.25% with Level One Bank’s Automatic Payment set-up. Debt to income ratio must not exceed 36% total, including the new Level One Bank Unsecured Home Improvement Loan payment. Completing an application may affect your credit score. Financing is subject to credit approval. We reserve the right to change this program at any time without notice. Underwriting terms and conditions apply. Some restrictions may apply.